Someone commented on my photo proclaiming, “that is one fake donut too many”. Well, if by fake they mean it isn’t deep fried in unhealthy oils, filled with digestion disrupting wheat and dairy and covered in all things sugar? Then, yes, these donuts are super fake. 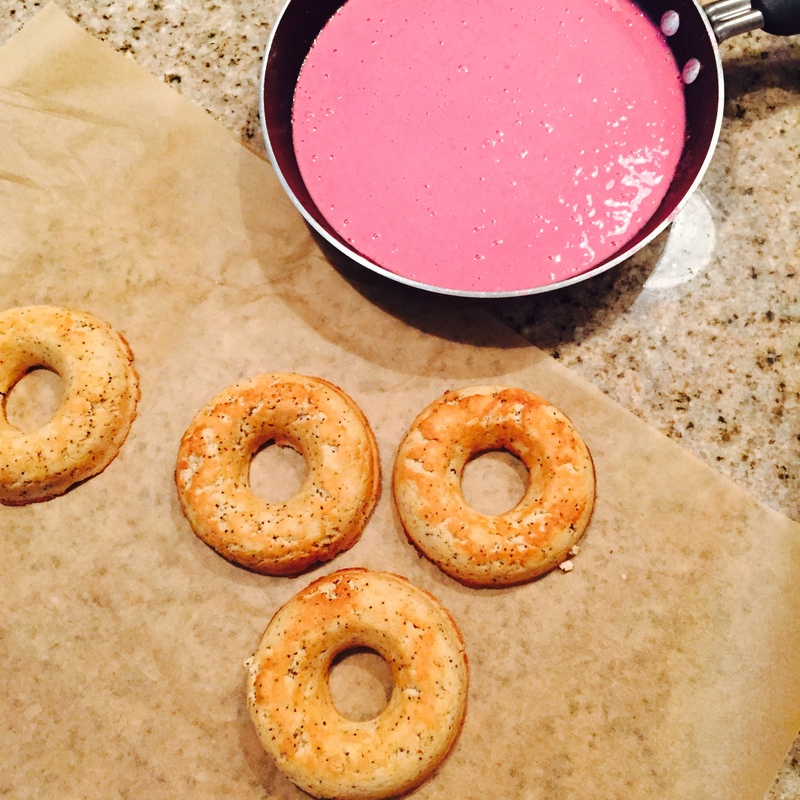 By the way, donut/doughnut… potato/po-tah-to? I really don’t know which is the preferred or correct spelling, but frankly I don’t care what they’re called, I mean…just look at them. Preheat oven to 350 degrees F. Combine dry ingredients in one bowl (coconut flour, baking soda, cinnamon, sea salt, poppy seeds). Next, combine wet ingredients in another bowl (eggs at room temp., honey, coconut oil), hold off on the lemon and lemon zest. Combine wet and dry ingredients, you will have a pretty thick mixture. Now, add in the lemon juice and lemon zest; you want this batter to smell very lemony, if it doesn’t-add a bit more zest. 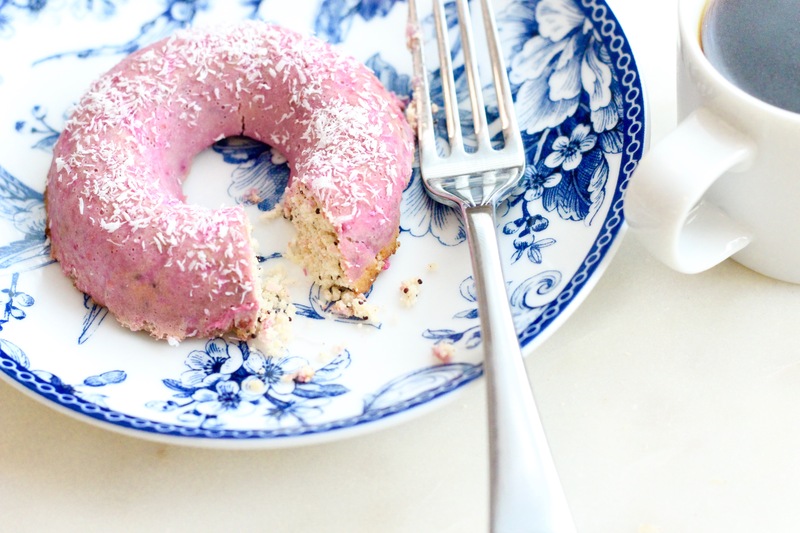 Finally, add this mixture to a coconut oil greased donut pan. Try to evenly distribute and smooth out the mixture in each donut mold, Put the donuts into the oven for 20 minutes. Meanwhile get started on the glaze. In a small sauce pan, meld together coconut oil and maple syrup on low heat. 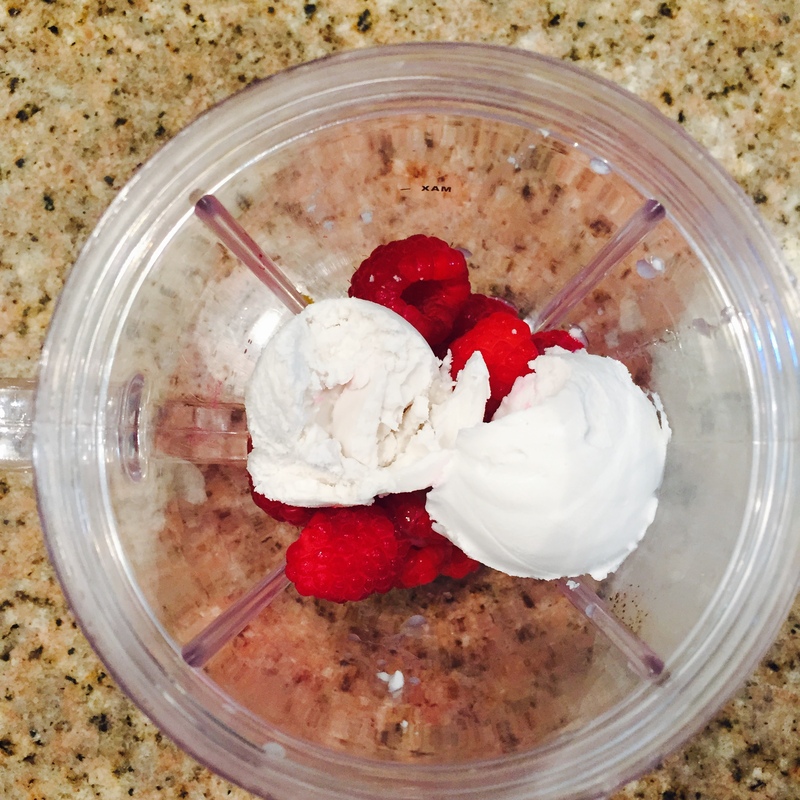 In a high speed blender, blend together chilled coconut cream, raspberries, and raw beet. Next, remove the pan from heat and add in the raspberry, coconut cream, and beet mixture, stir to combine and set aside. Remove the donuts from the oven. 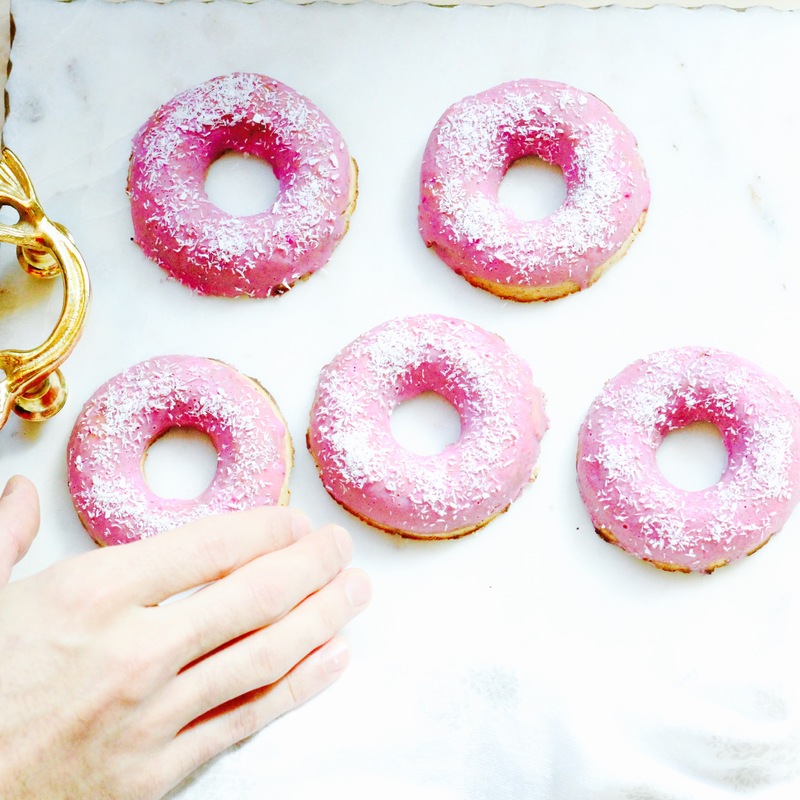 Carefully remove each donut and place on a plate to put into the refrigerator or freezer for about 10 minutes. 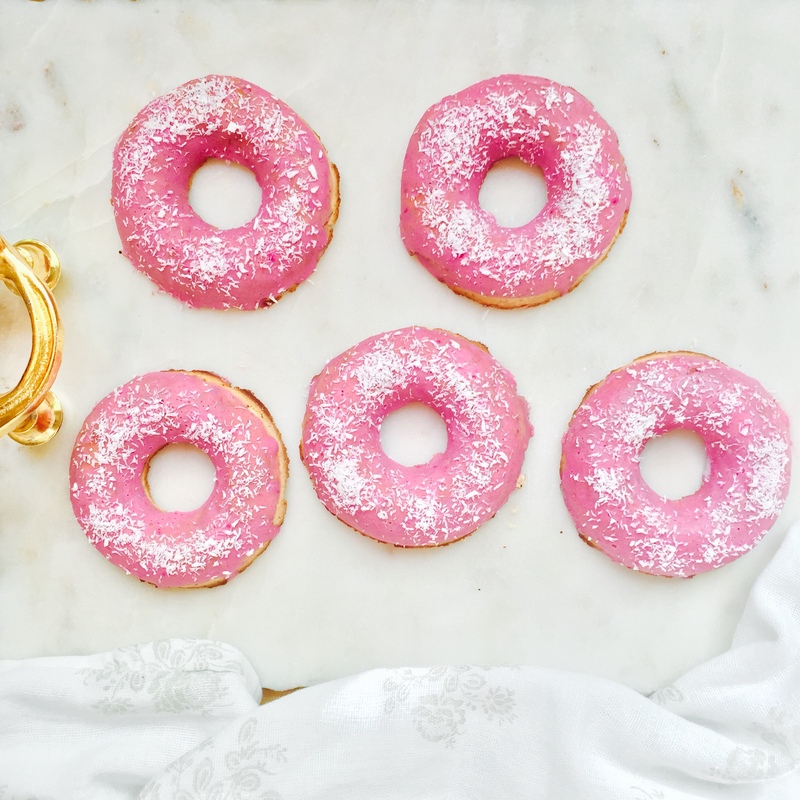 Spread out some parchment paper to avoid mess, and carefully dunk your donuts into the glaze then put back onto plate and sprinkle with coconut. Add back to the refrigerator for about 20 minutes before eating to give the glaze time to harden. Keep in the refrigerator for about a week. Enjoy! I love the colour and flavour of these doughnuts. Thanks for sharing. Beautiful! Can’t wait to try these. And OMG it is frustrating and ironic when people call pure, plant-based food fake or gross. Ignorance!